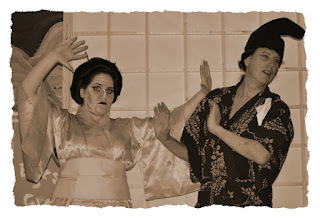 In anticipation of opening night, Petite Opera reveals early rehearsal photos of The Mikado, which runs April 20 through May 5 in Park Ridge. Photographs courtesy of Miguel Lopez-Lemus. When Nanki-Poo (Walt Westlake, center) inquires where he can locate Yum-Yum, the girl he adores, two town noblemen--Pooh-Bah (Robert Morrissey, left) and Pish-Tush (Steven Arvanites, far right)--advise that she is already scheduled to marry Ko-Ko, the new Lord High Executioner, that same day. 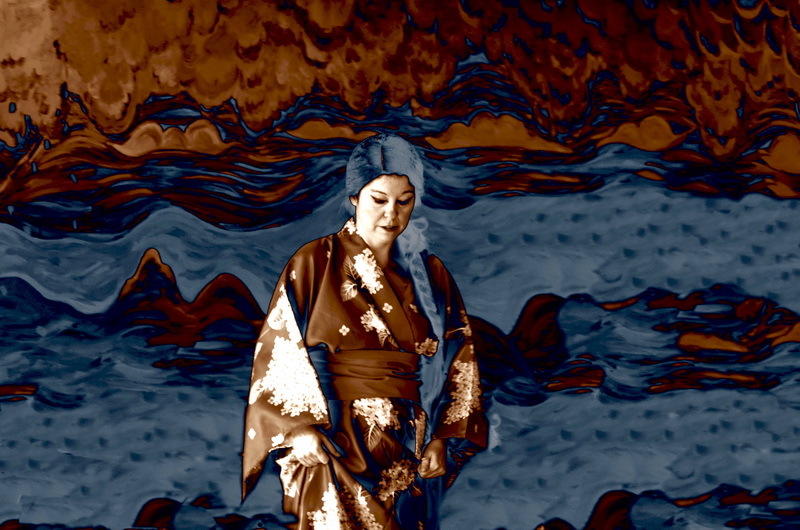 An artistic view against the backdrop of Titipu: Yum-Yum (Susan Baushke), the object of Nanki-Poo's affections. 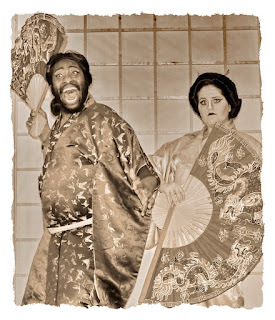 Nanki-Poo (Walt Westlake), the son of the emperor, has been masquerading as a wandering minstrel in Titipu in an attempt to escape the attentions of the misguided Katisha (Alexa Devlin), an elderly woman of The Mikado's court. When she locates Nanki-Poo and commands him to restore her to her rightful place as his intended bride, he shuns her. 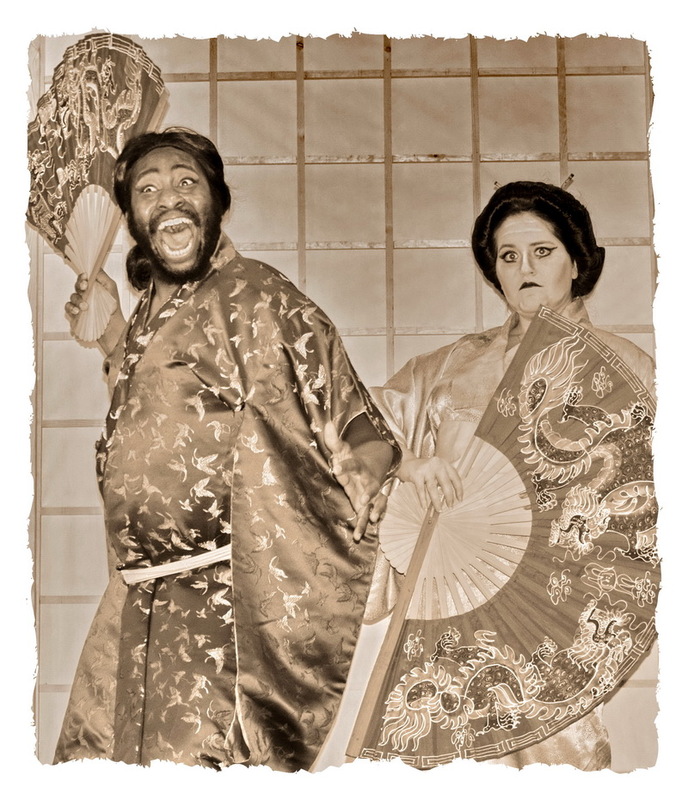 The Mikado, the emperor of Japan (Aaron Bolden) demonstrates his unpredictable and explosive personality as he enters Titipu, accompanied by Katisha (Alexa Devlin). 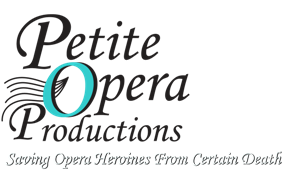 Tickets may be purchased online (convenience fees apply) by clicking Purchase Tickets, or reserved via phone at 847.553.4442. Don't miss it!